1 YRS Foshan Sabo Furniture Co., Ltd.
1 YRS Foshan Shiyi Furniture Co., Ltd.
4 YRS Rovan Furniture Co., Ltd.
6 YRS Qingdao Sino Furniture Co., Ltd.
2 YRS Foshan Fuzhidao Furniture Co., Ltd.
5 YRS Foshan Yichuang Furniture CO.,LTD. 7 YRS Foshan Xin Yu Furniture Co., Ltd.
5 YRS Foshan Yi Jin Furniture Co., Ltd.
2:we have our own factory to confirm the goods with top quality . 3:It is organized of our factory ,so we always keep the delivery time . we are sincerely to give you the top quality furniture in the world. 1 YRS Ningbo Xino Furniture Co., Ltd.
1 YRS Foshan Shunde Han Tian Furniture Co., Ltd.
3 YRS Foshan Homely Furniture Co., Ltd.
As the leading hospitality supplier, HOMELY has R&D department, Manufacture base, distributor net work and transportation solution. Moreover, the principle we always maintain is "to provide customers with better quality, better price and better service". It is very convenient to visit us, and all clients from all over the world are highly welcome to us. 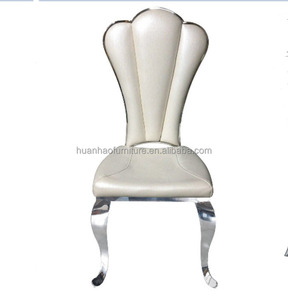 3 YRS Foshan Great Furniture Co., Ltd.
hotel furniture stainless steel wedding royal dning chair item No. 1.Designer can be sent to your country to do measurement if needed. 3.Experienced workers can be sent to install the fixing furniture if needed. 2 YRS Foshan Maxtour Furniture Co., Ltd.
1 YRS Foshan Homely Furniture Co., Ltd.
3 YRS Foshan Hardware Furniture Co., Ltd.
4 YRS Weifang Sunzo Furniture Co., Ltd.
Our own plant has supplied to domestic market and many countries through Chinese trading companies for about 12 years with good reputation and experience. In 2012,Weifang sunzo furniture factory established as subsidiary of our plant to develop international market and provide direct service and better price to overseas customers. With a wide range, good quality, reasonable prices and stylish designs, our products are extensively used in wedding, meeting, restaurant, film and other industries. 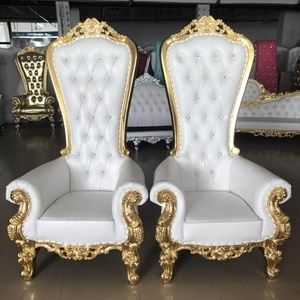 4 YRS Foshan Yingqi Furniture Co., Ltd.
2 YRS Foshan Glad Furniture Co., Ltd.
2 YRS Taizhou C-Mi Trading Co., Ltd.
5 YRS Foshan Homely Furniture Co., Ltd.
4 YRS Guangzhou Unik Ideas Trade Co., Ltd.
2 YRS Foshan Nian Nian Hao Furniture Co., Ltd.
Alibaba.com offers 4,097 royal wedding chair products. About 52% of these are hotel chairs, 36% are metal chairs, and 11% are dining chairs. 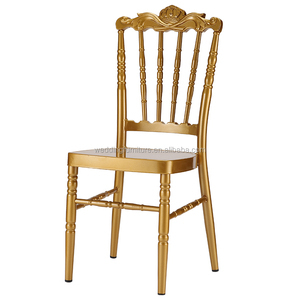 A wide variety of royal wedding chair options are available to you, such as metal, plastic, and wood. You can also choose from modern, antique. As well as from no, yes. And whether royal wedding chair is free samples, or paid samples. 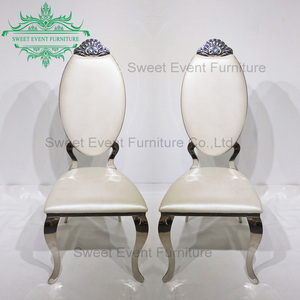 There are 4,097 royal wedding chair suppliers, mainly located in Asia. 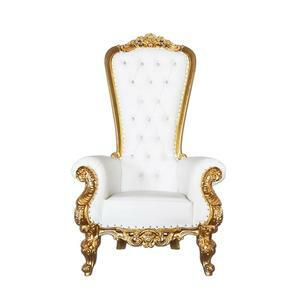 The top supplying country is China (Mainland), which supply 100% of royal wedding chair respectively. 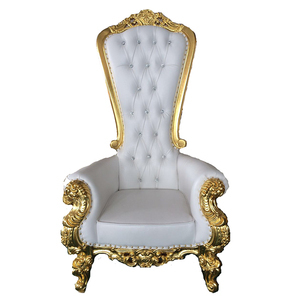 Royal wedding chair products are most popular in North America, Africa, and Domestic Market. You can ensure product safety by selecting from certified suppliers, including 855 with Other, 284 with ISO9001, and 51 with ISO14001 certification.